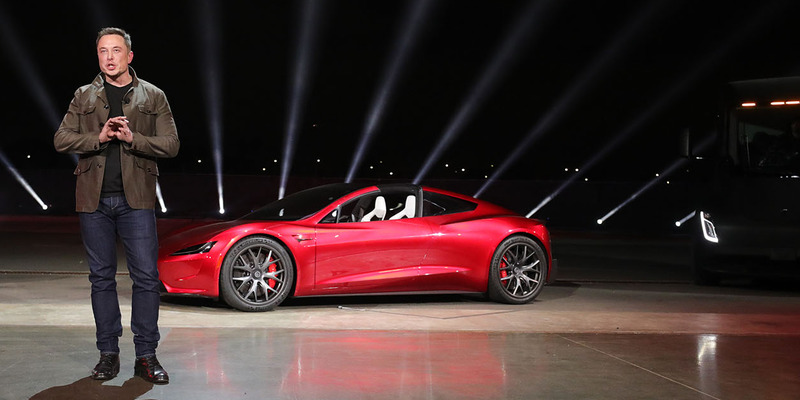 Tesla‘s third-quarter vehicle deliveries topped both its guidance and Wall Street expectations on Tuesday. Total vehicle deliveries also topped analyst expectations. 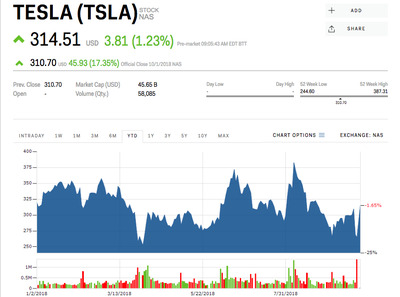 Follow Tesla’s stock price in real time here. Total vehicle deliveries came in at 83,500, also beating both the company’s forecasts and analysts’ expectations. 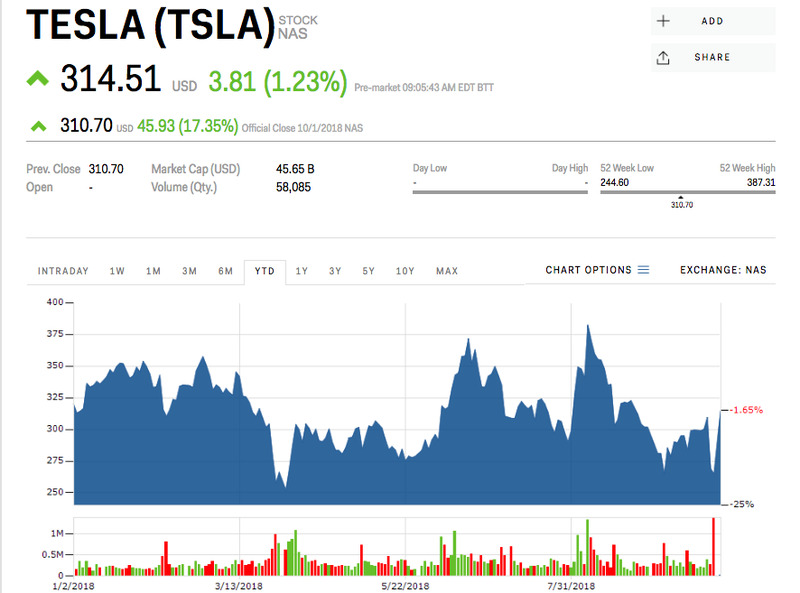 Shares of Tesla rose about 1.5% early Tuesday following the announcement. The electric-car maker said it was still on track to deliver 100,000 Model S and Model X vehicles for 2018. But there is still no base-model version of the Model 3 under production. 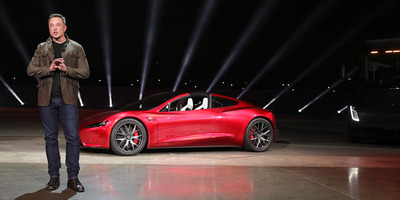 Musk has said the $US35,000 version will arrive this year, but experts have told Business Insider’s Mark Matousek that’s “highly unlikely.” In August, analysts from the investment bank UBS tore apart a Model 3, analysed its construction, and projected that a $US35,000 Model 3 would generate a loss of $US5,900 a vehicle. Some customers have reported significant problems with their Model 3s and other Tesla vehicles shortly after receiving them, and Business Insider reported in August that a much higher percentage of Model 3s produced at the end of June required rework than a car at another auto plant might have. Tesla is expected to report its third-quarter earnings on October 31. *An earlier version of this article misstated Tesla’s total delivery numbers for the Model 3.